Following the successful rebranding launch last year, Bord na Móna UK has invested further in its growing media range with new products and pack sizes. 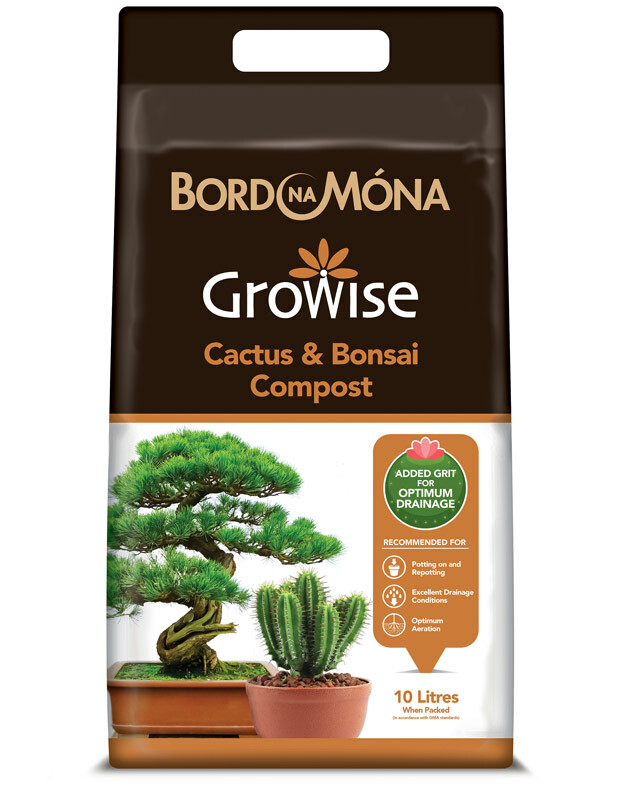 Now also available in convenient 10L and 20L packs with handles, the extended Bord na Móna Growise growing media range is designed to suit all needs, from indoor plants to the bigger garden. A new 50 litre premium multipurpose with high peat content joins the existing peat-reduced through to peat-free multipurpose selection. There are also seven new specialist blends – 10 litre Cactus and Bonsai, 10 litre Orchid, 10 litre Citrus, 10 litre Houseplant, 20 litre Bulb, a 25 litre John Innes Ericaceous and a 25 litre Lawn Soil. There is also a new 70 litre Chunky Chip Bark being introduced to the existing Bord na Móna Growise mulches range. Many of the existing peat-reduced to peat-free products benefit from additional pack sizes aimed at consumer convenience. For example, a new 20 litre peat-free multipurpose joins the existing 50 litre SKU and new consumer friendly packaging ideas can be seen across the range. Charles Farmer, Head of Sales UK said, “The 2016 season has proved that the Bord na Móna Growise peat to peat-free range is very popular with consumers with sales well ahead in both volume and value. The next step is to make it even more of a one stop shop offer by broadening the range, adding more specialist blends and a wider variety of pack sizes. 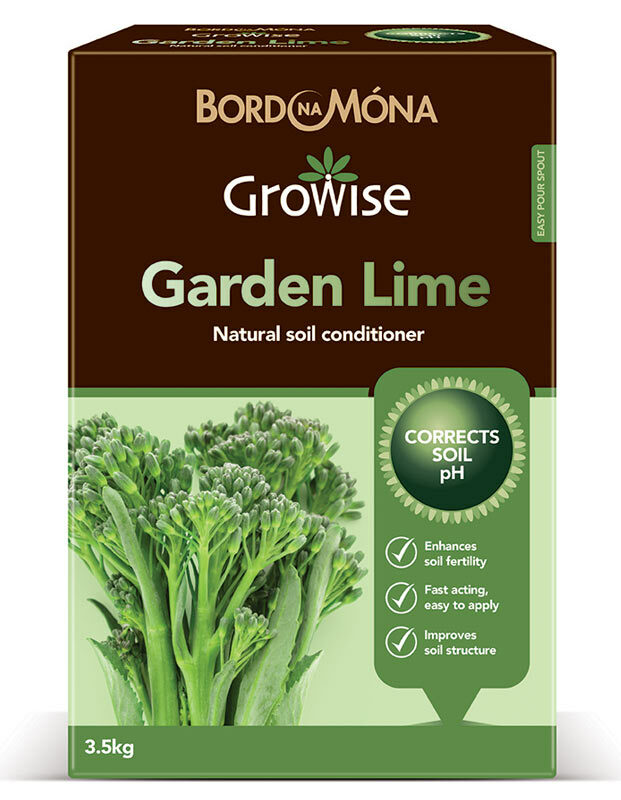 Bord na Móna UK offers peat-based and peat-free growing media and soil improvers, primarily through garden centres nationally. It is also the largest own brand supplier of compost and bark in the UK. It is part of Bord na Móna plc, which specialises in renewable energy, horticulture, resource recovery and eco-fuels. The horticulture business is focused on the marketing and sales of growing media and other horticultural products to UK and Irish retail markets and also professional markets primarily in the UK, Ireland and Europe, where it provides innovative product and supply solutions to meet customer needs. The business exports growing media products to over 30 countries and its goal is to become the leading supplier in the markets that it serves. Retailers interested in working with the Bord na Móna Growise brand should contact 0800 973 555, email info@thegreenergardener.com or visit the website www.thegreenergardener.com.